Small Points (1/2" - 3/4") - 1pc. Medium Points (3/4" - 1") - 1pc. Large Points (1" - 1-1/4") - 1pc. Imperial Topaz Points (Brazil) - These are special pieces of Imperial Topaz Points that come to us from Brazil. This Imperial Topaz is becoming rare and hard to find. 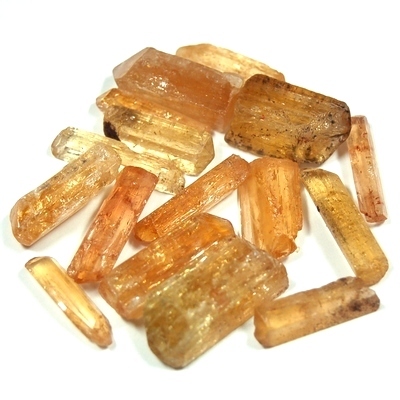 The natural terminations help to focus the natural energy of Imperial Topaz. These Imperial Topaz points have orange coloring and have a smooth but energizing vibration to them. Topaz Crystals are made up of Aluminum Silicate, Fluoride, and Hydroxide, and are found all over the world in many different colors. 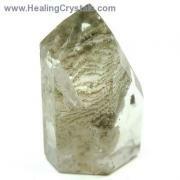 Imperial Topaz Crystal Points are great for meditation, crystal grids, and body layouts. Topaz Crystals can be beneficial for general health as well as for eyesight. Topaz was used long ago as a stone of invisibility — it was believed that, if one held Topaz in their left hand, they would not be noticed by those they were trying to avoid. It has also been carried or worn as a good-luck stone. Topaz enhances mental processes, bringing clarity and logic to any situation. 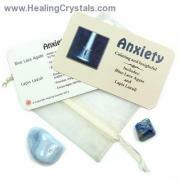 They help one to see all aspects of an issue or problem, making it easier to find a solution. In this way, Topaz is also helpful to those searching for existential meaning, illuminating all the pieces of the puzzle and helping one to become receptive to their form. Also known as Gold Topaz, Imperial Topaz can help to determine and direct one's intent appropriately for manifestation, without interfering with the desires of others. A "stone of good fortune," Imperial Topaz has been credited with bringing prosperity and abundance to the wearer, by clearing away blockages that inhibit the vibrations of one"s intention. It can connect the Root, Sacral, and Solar Plexus Chakras to the Crown Chakra, deepening one"s connection to the Divine. Meditation with Imperial Topaz can help one to gain insights on the purpose for this incarnation. Carry these Imperial Topaz Crystal Chips with you when depleted of energy and in need of a boost. Affirmation: I express gratitude for the good fortune in my life. Question: How are you abundant?